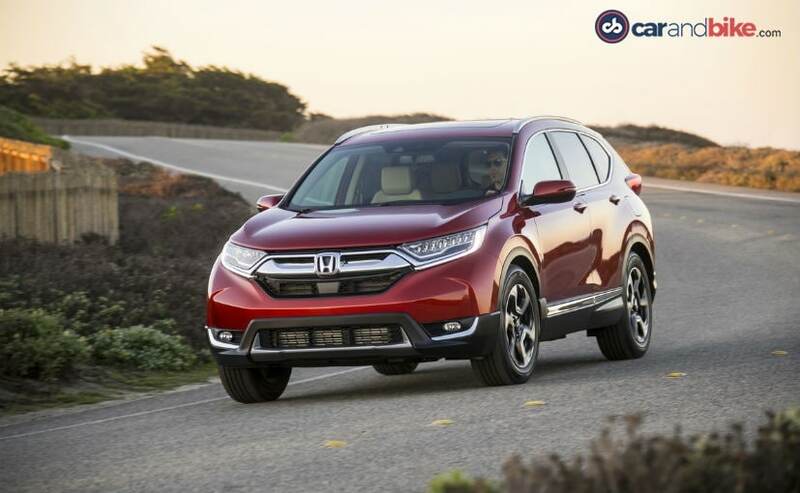 Since 1995, the Honda CR-V has been a permanent fixture in the global compact SUV segment. It is a bestseller in the US, accounts for a quarter of Honda's sales in Europe, and is really the car that kick-started the segment in India. Having launched in the US in late 2016, the 5th generation has been rolling out globally through 2017. Having showcased itself at the Auto Expo in February, the car is now set for its India debut. 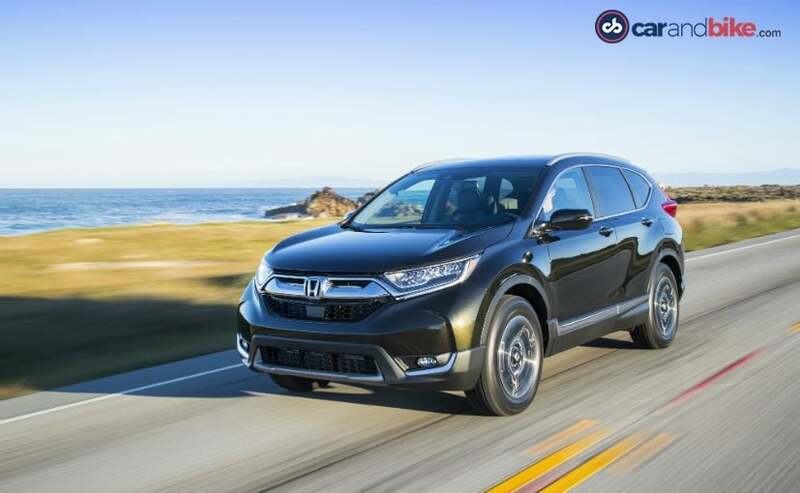 Depending on the market, the CR-V is being offered with naturally aspirated 2.0 or 2.4 petrol engines, and a turbocharged 1.5, or a 1.6-liter turbodiesel. Honda makes front- and all-wheel drive versions of the CR-V. In India we are looking forward to the brand new 1.6 litre diesel finally giving the CR-V an option to its petrol-only India range so far. From the outside, the new CR-V represents a marked improvement over the last generation, with more sculpted lines and horizontal taillights. It doesn't walk too far away from its predecessor, but it is clearly more modern. And it looks especially good with the top-of-the-line 19-inch wheels. The daytime running lights and muscular bumper make the car look imposing and it will turn heads. The new shape also means more room. The longer wheelbase benefits the front passengers. And the rear bench can been moved forward and backwards by a full 150 millimetres, depending on whether you like more rear legroom or a bigger luggage compartment. The big news is the option of a third-row, although the last row is not really suitable for adults - as in most such cars. 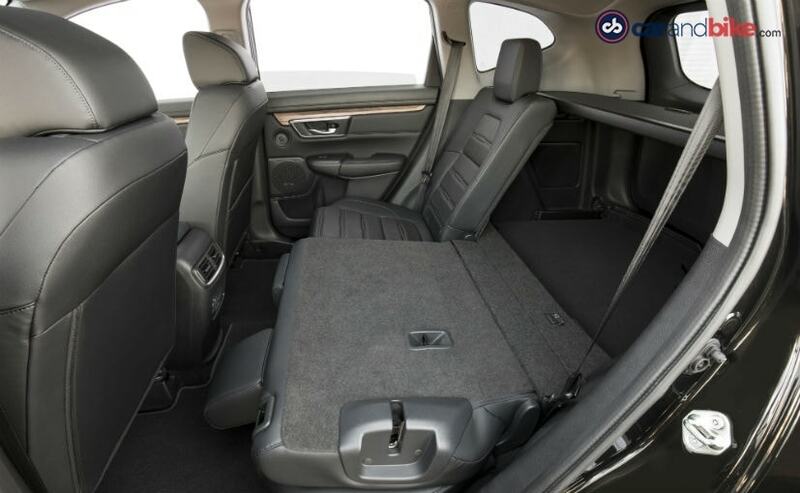 In the front, there is generous room, and the seats offer plenty of lateral support. We like the variable trunk, where the load floor can be extended and loaded up with up to 100 kilograms. The power tailgate is a good feature add-on too. 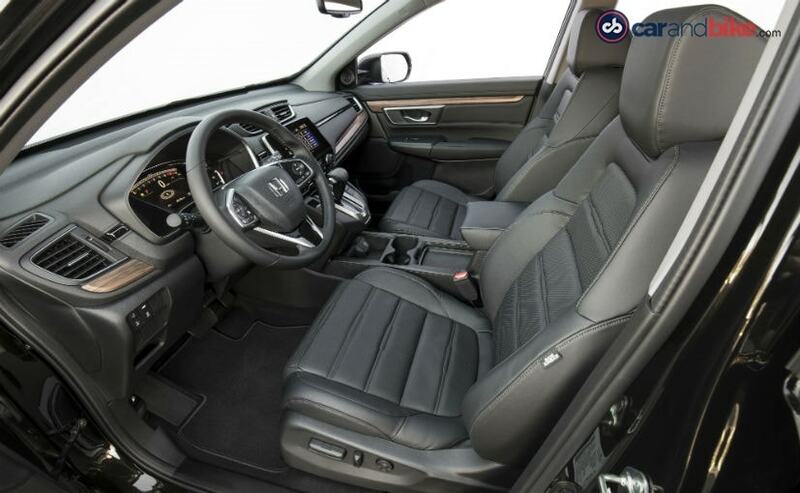 The interior is full of storage and practical solutions; the driver benefits from a well-positioned gear selector, and the electronic instrumentation offers a techy and futuristic look. It is still unclear what level of equipment we will get here in India. 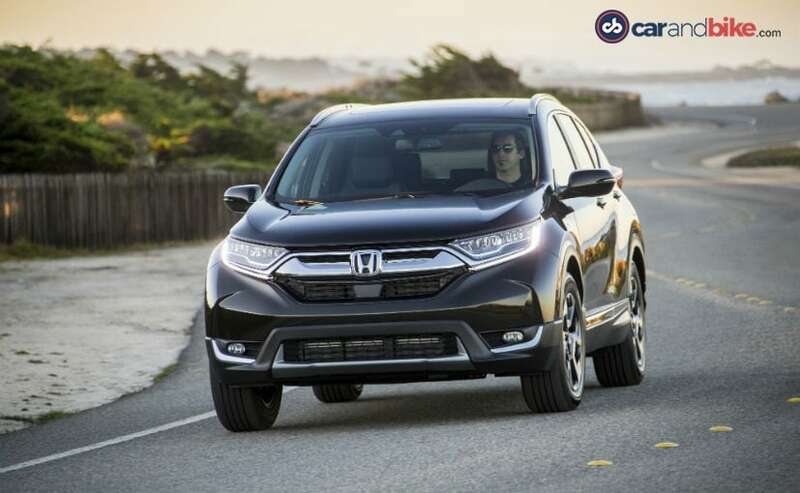 But expect the CR-V to be loaded with safety features as standard, and also offer a touchscreen infotainment system with smartphone connectivity. The driver's seat is also power adjustable and gets lumbar support. The brand new 1.6-litre diesel engine is a big deal for Honda, and indeed the CR-V. Not only will it give us a first diesel CR-V for India, but also plenty to get excited about. While many may think that 120 horsepower is not a great number, it's the delivery of that power - and more importantly the ample torque on this engine that become the key takeaway. The car gets plenty of grunt from that engine - suitable for high demand driving. And it also does well for city traffic, since it gives you a good mid-range and peak torque also kicks in at just 2000 rpm. Getting all that torque to the wheels is a brand new and very quick 9-Speed automatic gearbox. The CR-V coming to India will likely be automatic only, even though some markets do get a 6-Speed manual option. While the diesel will come with that new 9-Speed, the 2.0 petrol is expected to get the CVT. CVTs are controversial, with some drivers disliking the sound of the engine spooling up rapidly while the car only gradually increases in speed. 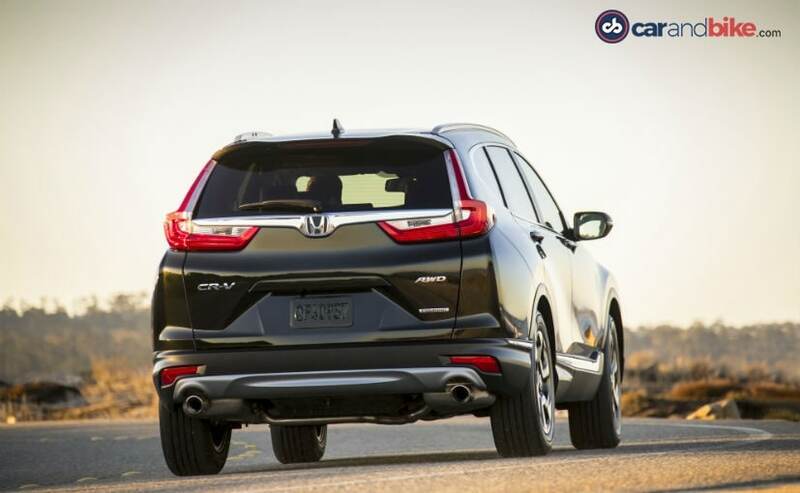 But on the CR-V like on many Hondas, that specific character of the CVT is hardly noticed. Incidentally, the turbodiesel option is not offered in the US and has been dropped in Europe, but we believe it remains the most sensible and efficient choice for the new CR-V. And so are glad it's being brought to India. Some may think the era of the diesel is over, but its benefits are so clear that it may still have a long future ahead. Honda also hints at an upcoming hybrid CR-V globally, which we don't rule out for India in the future too. But given the qualities of the currently available engines, our advice is: don't wait for it! We like the handling of the CR-V a lot. Steering effort is low, but there is still enough road feedback, and the CR-V can be positioned with precision. The suspension veers towards the comfortable, but don't forget that this is a Honda and it is kind of meant to do that! When pushed though, the CR-V can handle corners quite well, and better than many other SUVs in this class. On top of the remarkable capabilities of this chassis, a plethora of assistance systems ensure that you stay on the road. Unless you want to deliberately go off the road! In this case, the increased ground clearance will get you farther than before. Optional All Wheel Drive is only expected on the diesel, though we will have to wait to see what spec the CR-V is finally offered in. The model we tested had a built-for-Europe and like markets type of specification. 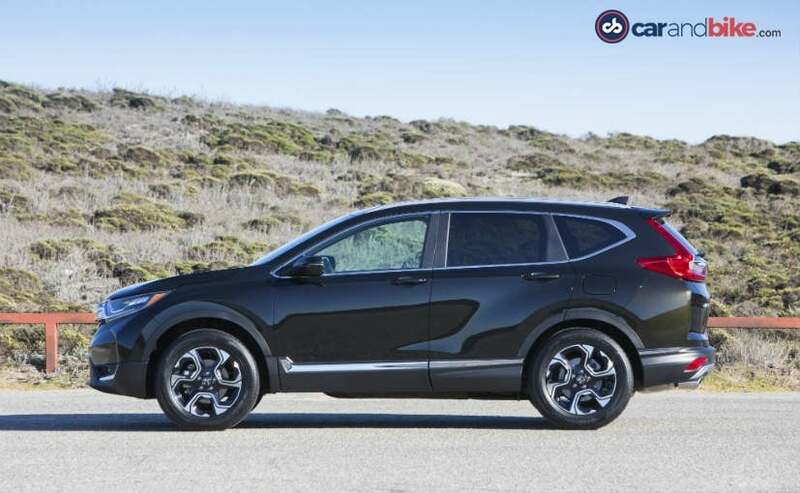 The new CR-V has attitude and style - perhaps more so than its established competitors. Improved in every respect, customers should give it a close look. And with three-row seating, as well as diesel now coming in the car will become way more relevant to the buyer. The only thing to remember is that since the car has grown in size, stature and sophistication, it will be positioned much higher with prices expected to hover between ₹ 28 and ₹ 30 lakh. It will take on the similar yet 5-seater rivals like the VW Tiguan and Hyundai Tucson on the one hand, and also the Toyota Fortuner, Ford Endeavour and Skoda Kodiaq - all 7-seaters - on the other. We will have an India spec Honda CR-V review for you next month, when we will get our hands on the Indian model.